Give us a call to talk to any time about any and all of your blueprinting needs in Denver. Each member of our team strives to provide you with the best of blueprint and architectural printing. Feel free to ask us about other copy services we offer as well. If you have any other questions, you can always email us or browse our website for more information. You’re always welcome to stop in at our office! 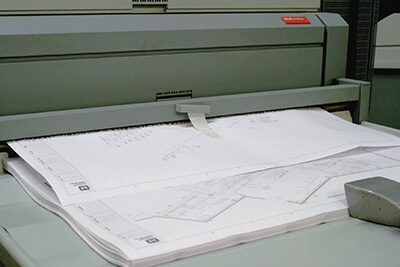 ABC Reprographics is the leading one-stop shop for architectural / Engineering prints in Denver. You can trust us to handle your large scale and high volume printing projects, and we will offer you the best in service and quality, guaranteed to exceed the highest of expectations. Our caring, compassionate and experienced staff understands your architectural printing needs and the demands of a tight deadline. 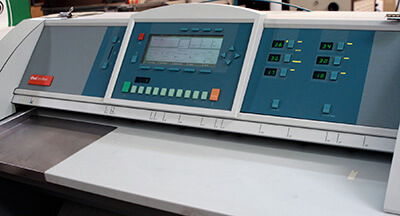 Our state of the art equipment produces 2,300 24”x 36” prints per hour. We can print on color bond, presentation weight paper, Vellum and Mylar. ABC Reprographics has been providing our clients with the highest quality of CAD color and Black & White plotting services. We offer both black & white, as well as full color plotting for any and all of your designs, which can be implemented on standard bond, presentation bond, vellum or mylar. Our high speed and efficient color plotters can handle any and all of your CAD needs, no matter the size of the job. Makes the order process as simple and convenient as possible. Allows you to order online, email your files, or show up in person. Has a speedy pickup and delivery service for traditional print jobs. We Have “while you wait” services for smaller orders. Feel free to contact us any time if you have any questions about delivering us your print files. Otherwise, feel free to email us your order at eprint@abcrepro.com. We want your business or organization to succeed, and therefore, we will go the extra mile to find out what architecture printing services will work best for you. With each and every job we produce for you, we keep our mission statement in mind. If you need online collaboration to access your files while you’re on the go, you can use our ABC Plan Center. We can set you up with your own digital plan room in Denver. 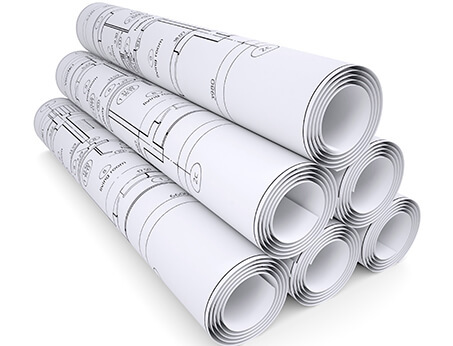 This system allows you to manage all of your print-ready construction documents. Our knowledgeable, experienced and caring staff will help get you started with setting up your own digital plan room in Denver that you could begin using today. Convenience in handling, collaborating on, and distributing all print documents. Access to past and current print-ready digital plan room Denver documents at any time. Manage your documents, modify them, and place new online orders. Batch convert all your existing archived files. Save your entire work history on an SSL encrypted server. Additional protection is provided by a highly secure firewall and off-site redundancy. Scans of hard copies can be saved in your cloud-based digital planning room. Control of all your blueprints, drawings and prints at your fingertips. You decide who has permission to view, edit, transfer, or share your files. All you need is an active Internet connection and a browser, and you can travel 5,000 miles away if you want. No matter where you are, your documents are waiting for you in your digital plan room Denver account. You also control who sees what and when they see it. If you have any questions, please contact ABC Reprographics today to learn more about setting up your own ABC Plan Center digital plan room Denver account. You can also visit to our website to see how fast you can put your own ABC Repro Plan into action. Click here www.abcreproplanroom.com to find out more about how the ABC Plan Center can help you. You can order online any time via your personal ABC Plan Center account, or you can order via email: eprint@abcrepro.comor you can upload your projects at https://www.abcreproplanroom.com/efs/fupload.php , also order by telephone if you wish as well.